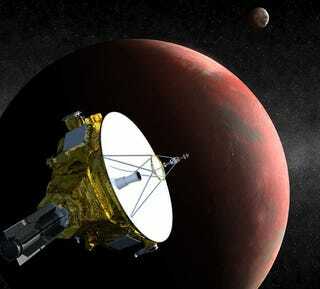 In 2015, NASA's New Horizons spacecraft will reach Pluto and its frosty moon, Charon. But the journey of discovery will just be beginning, as New Horizons ventures out into the Kuiper Belt, made up of icy bodies just like Pluto. "When Pluto was first discovered in 1930, it just looked like an oddball," [planetary scientist Alan] Stern said. "We had the four rocky, terrestrial planets and the four big gas giants, and then we had this odd thing Pluto." But with the discovery of the Kuiper Belt in the 1990s, scientists discovered that the small, icy orb was hardly unique. "We found out that there are a lot of Plutos," Stern said. "In fact, it's the dominant class of planets in the solar system. This transformed our view not only of the solar system, but also of the importance of sending a spacecraft to Pluto. We realized that we had never sent a spacecraft to the most common type of planet." The Kuiper Belt sounds more and more intriguing as we discover more — like the mysterious red spot on the surface of Haumea, one of the largest objects there. The red spot may be a gas leak, or the result of a recent collision. But most of all, there's the fact that if we ever do get our lazy asses out of this solar system on our way to other stars, then whatever resources are in the Kuiper Belt will be a crucial refueling stop.